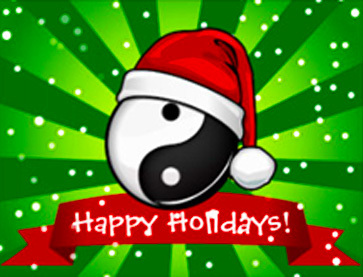 Christmas Greetings and best wishes for the Holiday season to all our instructors, students and friends! We hope that 2017 brings you many happy, relaxing and healthy times. Once again, the year has rushed past us in a blur. We are reminded that in the fast pace of today’s lifestyle, we can’t afford to be complacent about our health and our activity levels. Unfortunately we have had to put off the Alexandra Headlands Retreat for this year. The idea at the moment is to run it every second year to alternate with China tours from Brisbane. The most important thing in our lives is good health. We give our cars regular services, but forget about ourselves. You can have many cars, but you only have one body! Look after it well. 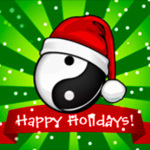 To maintain such a gift, Tai Chi & Qigong is the answer. For those who have already experienced the wonderful feeling of Tai Chi, we hope to see you again soon. To those who have yet to experience that feeling, now is the time to take action and join a class near you. January 28th will see the beginning of the Chinese Year of the Fire Rooster. The rooster is the dawn announcer waking people up on time in the morning. Since the ancient times, it has been thought to have the ability of divining the future. Also in Greek mythology, it is said that the rooster can feel what will happen in the future. So, it is regarded as the god’s ambassador. People born in a year of the Rooster are very observant, hardworking, resourceful, courageous and talented, Roosters are very confident about themselves. Those born in the year of the rooster have the ability to discern what is coming. They like to think more and have a good plan when dealing with things. Also, they usually use ways others could never have imagined to solve problems. People born in a year of the Rooster are typically healthy people. They are active and enjoy sports such as hiking and swimming. Roosters don’t get sick very often because they tend to fight illness well. Even when they do become ill, they feel better quickly. Roosters are a little sensitive, and they feel stressed and moody at times.